ST. GEORGE — The Southern Utah Pacific Islander Coalition is hosting its third annual health fair Saturday from 10 a.m. to 2 p.m. at the St. George Recreation Center, 285 S. 400 East in St. George. The aim of the event is to provide health services and information to members of the large and growing population of Pacific Islanders in the area. The fair will include valuable health information, free flu shots, a bounce house, face painting and more. Members of the coalition hope that by providing information and fun in one location, they can help Pacific Islanders become more aware, become more active and live longer. The coalition’s goal is to give back to the Pacific Islander community through education and to help families live better. The health fair will provide informational booths about diabetes, gout and dental care. In addition to the health fair, the “Aloha 5k Fun Run/Walk” will occur Saturday at 8 a.m. In 2014, more than 150 people participated in the fun run. Beginning at the Crosby Confluence Park, 1850 S. Convention Center Drive in St. George, the run covers several miles of the City of St. George trail system and ends at the Recreation Center. To register, visit the coalition’s website. 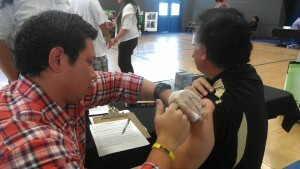 The health fair originated after Gov. 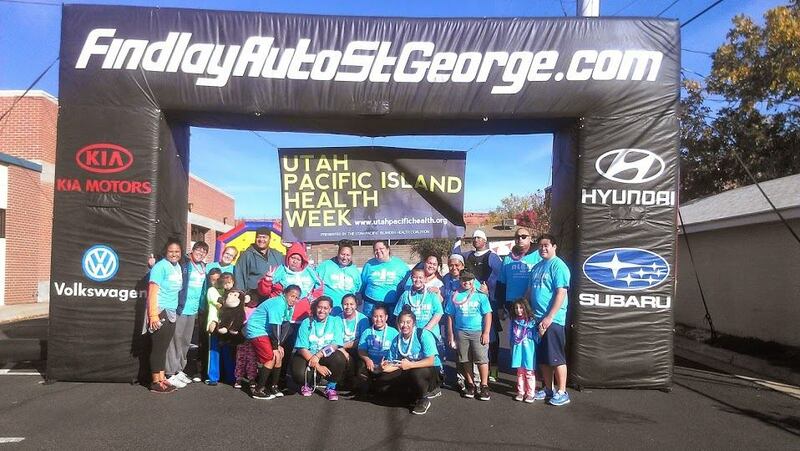 Gary Herbert declared Nov. 9-13 “Pacific Islander Health Week.” The effort was led by the Utah Pacific Islander Health Coalition to raise awareness and work toward solutions to address the serious health issues that impact Utah’s Pacific Islander community. 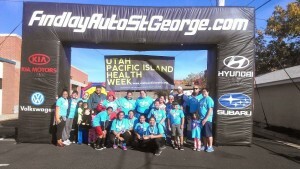 The Southern Utah Pacific Islander Coalition seeks to fulfill its mission to create and maintain programs that meet the needs of the Pacific Islander community and their families and to include all residents of Southern Utah. In addition, the coalition seeks to encourage the extended-family love and care that crosses ethnicity, national origins, gender and religious boundaries. The coalition is a nonprofit organization providing programs of education and scholarships for Washington County students and higher education students; wellness programs, which address diabetes, cancer, obesity and fitness; and cultural awareness and advocacy to the Southern Utah communities. When: Saturday, Nov. 14, 10 a.m. to 2 p.m.; fun run at 8 a.m.